This multi-purpose pack can go lots of places. However, I think it works especially well as a daily insulated lunch bag for people going to work or school. 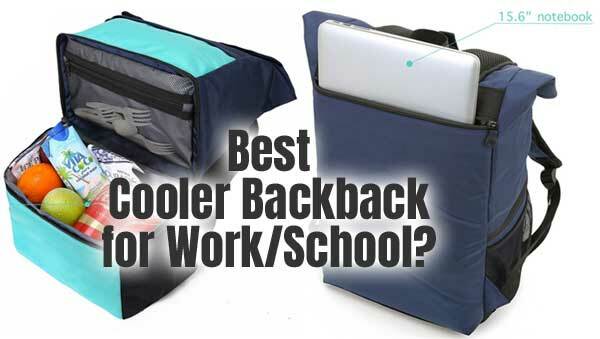 For example, most backpack coolers don’t allow you to carry a laptop computer as well as your refrigerated meal at the same time. Not to mention, this bag has pockets for drinks, you phone and even a silverware compartment. Plus, when you aren’t going to the office or campus, you can carry this soft-sided cooler to the pool, the beach or the park. 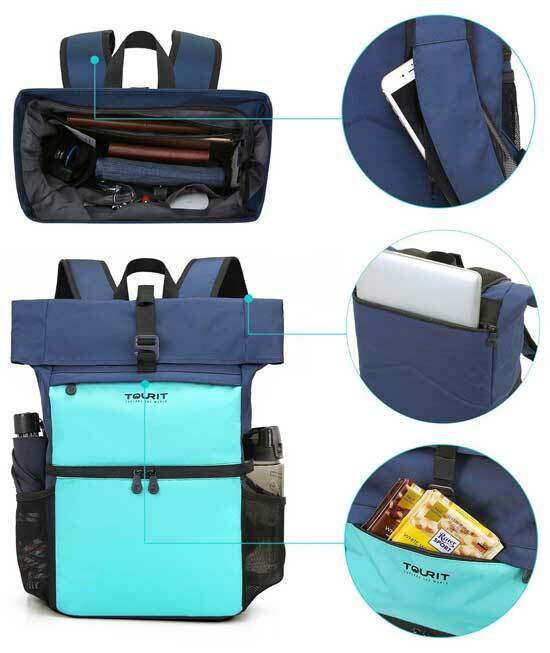 Or, simply use it as a mini car cooler for keeping drinks cold while you are out running errands, etc..
Tourit uses high-density insulation material as well as a leak-proof inner liner. Therefore, you can rest assured that your cooler items stay cold while your dry items remain dry. Note: By the way, this insulation can keep food and drinks warm or cold. Plus they stay that way for up to 16 hours. I recommend using blue ice packs or flexible ice sheets too. You may not plan on using your pack for a full 16 hours. However, just in case you find yourself out on a long hike or excursion, know that the padded backside and shoulder straps will keep you comfortable. Plus, the ventilated outer fabric will prevent the bag from sticking to your back. In other words, don’t be shy about taking the Tourit cooler backpack on picnics, hikes, bike rides, fishing or hunting. Picnic Time VS Tourit Backpack Cooler? The Tourit Cooler Backpack looks very much like the Picnic Time Zuma. In fact, they have very similar features and almost the same dimensions. You can also get either of them in a variety of colors. For example, both packs contain the insulated cooler and dry compartments. In addition, they include outer pockets for carrying drinks, plus a built-in phone carrier in the shoulder strap. However, the Tourit includes a padded laptop compartment on the backside of the bag. Actually, it can carry a fairly large 15 1/2″ long notebook. Not a bad feature to have, right? The downside, though, is that this bag costs about twice as much money. Therefore, if you don’t care about using the notebook compartment, you may prefer to save money and opt for the Picnic Time. 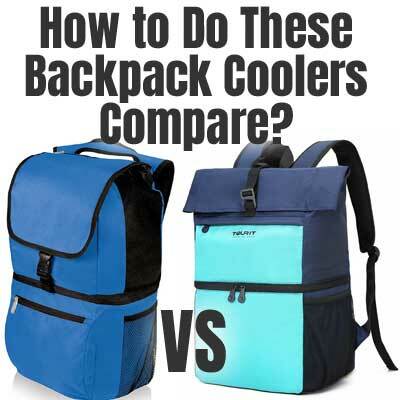 Note: Tourit makes a number of backpack coolers for camping, hiking, sports, road trips and more. That said, many of their packs on their site are sold out. The best place Ive found to get the Tourit cooler backpack is through Amazon.